Have you heard? 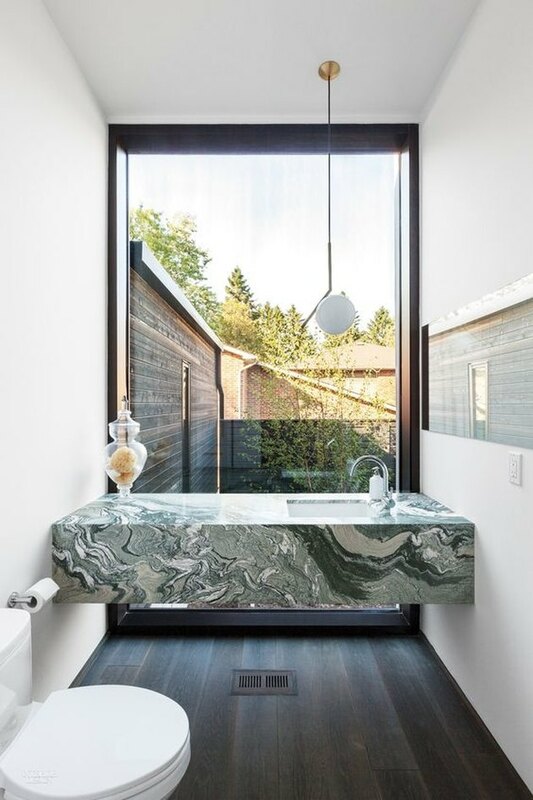 Green marble is the latest interior design trend taking over Pinterest — and we're loving it! It's rich and refined, but still has this undeniably earthy appeal. It's totally timeless, yet feels fresh and contemporary. Not to mention, it's versatile and comes in a range of ravishing hues (mint, sage, deep emerald, and more). Ready to join in on the verdant adventure? Consider this your crash course in green marble. Ahead, you will find everything you need to know about the luxurious stone, including ways you can incorporate it into your home. Technically speaking, marble is a "limestone that is more or less crystallized by metamorphism, that ranges from granular to compact in texture," according to Merriam-Webster. This natural treasure comes in many variations, from Guatemala Green, an exotic option that's characterized by a deep color and delicate white veining, to Peacock Green, which has a super dark, almost black hue. 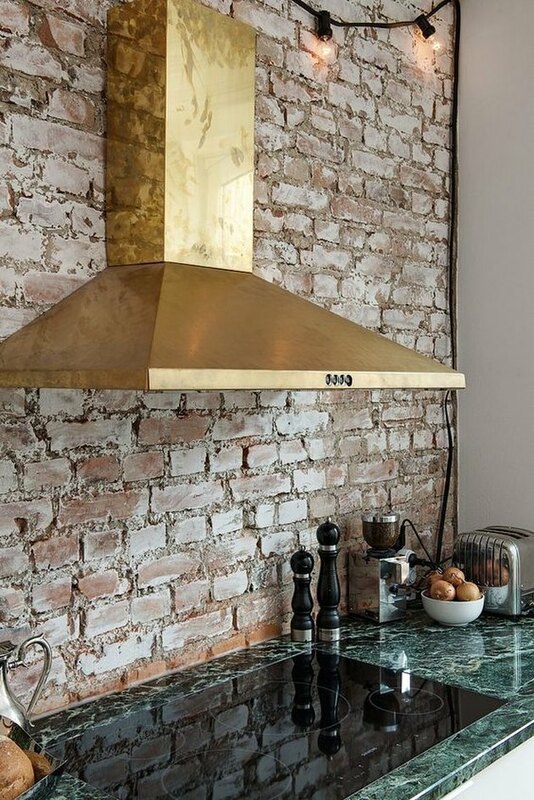 So it's no surprise that this luxe, jewel-tone marble is having a resurgence. Generally speaking, green marble seems to be sprouting up everywhere. From kitchen counters and coffee tables to backsplashes and flooring, this lush green stone tends to be well-suited for just about anything. Classic and bold, it's a design choice that can work in any room — so long as it's executed properly. Wondering how to introduce green marble into your home? Tile is a brilliant way to add a pop of color to the bathroom or fireplace surround. Who says you have to stick to one hue? The variation of dark green to light green is simply striking. And using this technique with fan-shaped mosaic tile like Petrina Turner Design did in this walk-in shower, creates such an interesting accent wall that can take any room to the next level. Not ready to make a permanent commitment? Or perhaps you'd prefer to save rather than splurge? Accessories are a smart (and wallet-friendly) way to add a touch of luxe. Marble coasters are a fabulous little flourish. Why not display your trinkets on a gorgeous tray? We're also digging serving boards, paperweights, and planters. Or, for something that makes more of a statement consider an occasional table like this dramatic green number from Ferm Living ( $329 ). There's something about jewel tones that's just so sophisticated. By now we're guessing you're sold on this stunning trend. 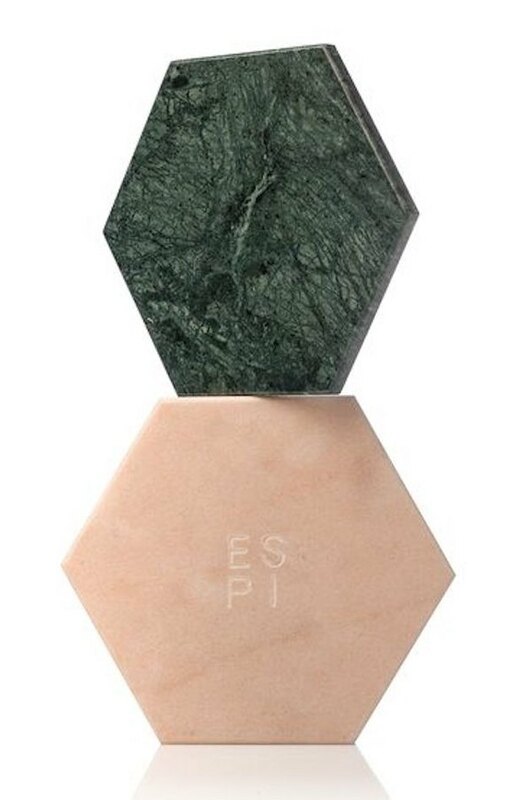 Scroll on to shop a few of our fave marble finds that will make everyone green with envy. Bonus: They won't break the bank. This dome-shaped pendant light looks ultra-chic hanging above a dining table or even in a row above the kitchen island. 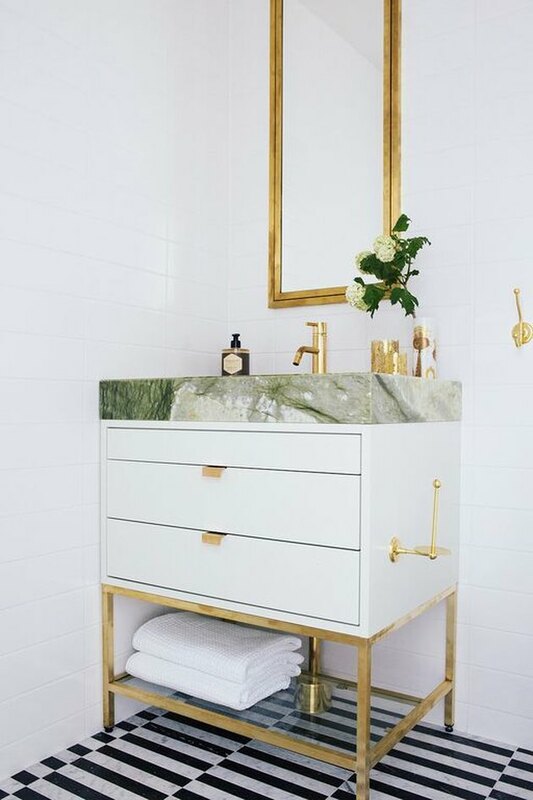 Want to add a little pizzazz to your powder room, sans the hefty price tag of a full-scale reno? 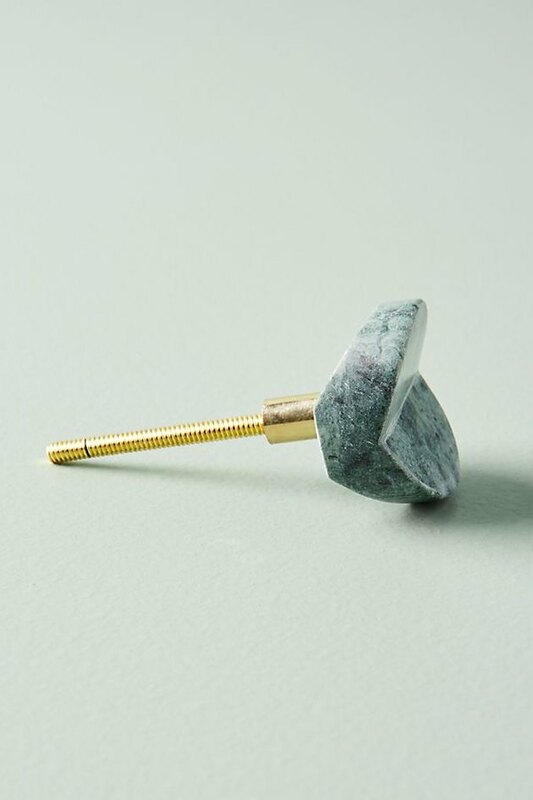 These green marble bath accessories should do the trick. Imagine the look on your guests' faces when you walk out of the kitchen holding this rainforest-inspired serving board with round brass feet. Handcrafted with Guatemala Green, this duo of sturdy and stylish hexagonal coasters is the perfect place to rest your drinks. Searching for an easy and inexpensive way to upgrade your furniture? Swap out the existing hardware for a set of marble knobs.